A Financial Power of Attorney authorizes a trusted individual to make financial decisions on your behalf when you are no longer able to do so yourself. Although these documents can be effective immediately, most are drafted to become effective only upon your subsequent disability — when a doctor certifies that you can no longer make financial decisions on your own. Whether it is a physical ailment that inhibits you from making financial decisions or it is a cognitive impairment such as Dementia or Alzheimer’s, having a well-prepared Financial Power of Attorney is a must for any individual age 18 or older. Working with retirees planning for long-term care, the estate planning attorneys at The Elder Law Firm PC often see outdated Powers of Attorney that have been made from sample on-line forms — or even Financial Powers of Attorney that do not authorize planning for long-term care. In every seminar we do, we express the importance of having a long-term care provision in your Financial Power of Attorney. If you do not have this provision, then your Financial Power of Attorney is ineffective for long-term care planning purposes. Legally speaking, the individual appointed in your Financial Power of Attorney can only do whatever the document authorizes him or her to do. If your Financial Power of Attorney does not expressly provide for Medicaid planning, Veterans Benefits planning, or long-term care planning, the appointed individual is helpless to protect you and your estate from being wiped out by nursing home or long-term care expenses. Furthermore, if they attempt to plan without your authorization, they could be held liable for breaching a fiduciary duty. Anyone interested in protection from a long-term care crisis bankrupting their estate should contact an experienced elder law attorney to review their estate plan — and especially their Financial Power of Attorney — to determine if the document is effective for long-term care planning. 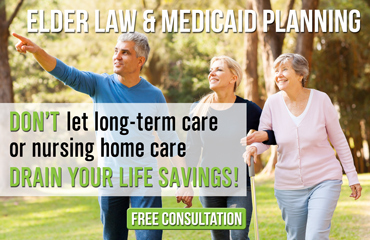 The Elder Law Firm PC offers no-obligation, free consultations to anyone interested in learning more about long-term care planning. 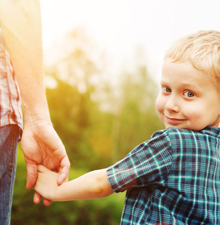 Even if the only purpose of the meeting is to review your Financial Power of Attorney, this no-obligation, free consultation is the best first step you can take toward protecting yourself and your loved ones.